I am sorry if I ever didn't listen to you or said something that you didn't like :( . 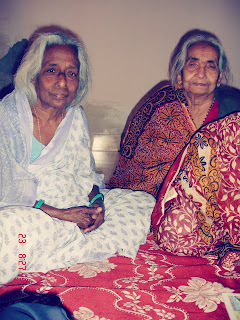 You and nanaji made RKL a beautiful place, going back to the house now would be so strange and different without you two! It breaks my heart. Don't worry about mum! I will look after her ! I am glad that you are not in pain any more and I wish you and nana ji get all the happiness you deserve where ever you are!